Maybe you’re not seeing the Category you need. Or the Category just doesn’t fit you quite right. When a relationship’s not right, you know it. So, if you want your wack to remain findable, don't forece it. 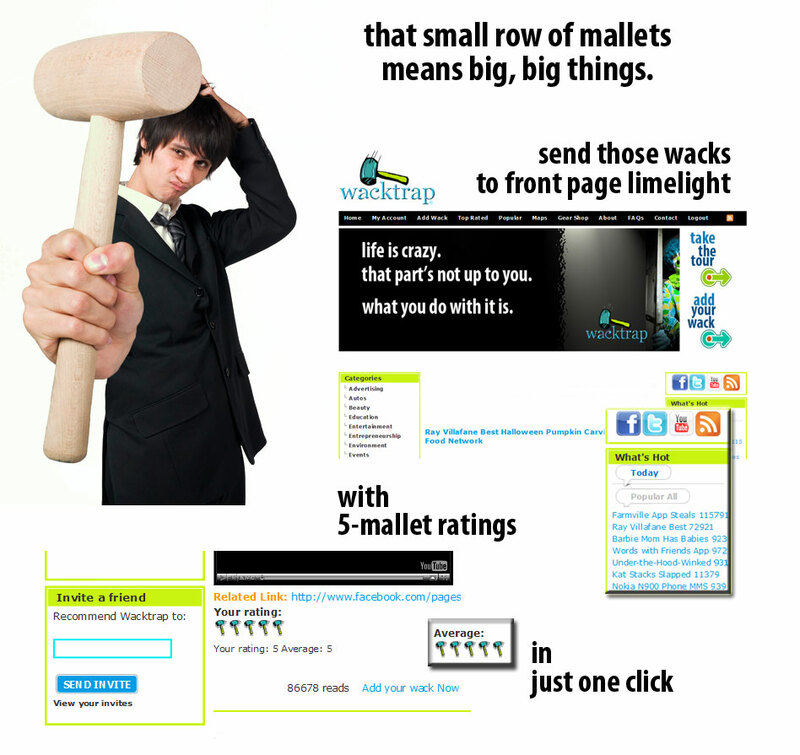 Contact Wacktrap now with your Category Suggestion and we'll address it as quickly as possible. Read on, to learn why having’ your wack in the right place is so important. Categories and the Wacktrap Search function have a tight relationship. If the Wacktrap Search function feels simple, easy to use and gives the results you’re lookin’ for, we’re doing things right. All the stuff you never see, but feel, is by design. Those Search results you’re getting back are no accident, they involve intensive development of a structure that’s working hard, for you. Designed to get you the search results you’re looking for. Fast. We know you’re anxious to post your wack. And we want to help you do it. Suggest a Category to let us know what you need, along with any company name and industry info that you believe is needed to fit your wack. If your wack’s related to a topic not involving a business, give us the pertinent info. Let our Team find out how your wack best fits into our site structure, and we’ll make it happen.